Aaron Hernandez had everything to live for. A great job, great salary, a beautiful baby daughter, a massive home, a lovely fiance, and unparalleled talent. Most people would be grateful to possess just a few of the aforementioned traits. But Aaron Hernandez had it all. Or at least, he appeared to have it all. Unfortunately, he felt he needed to take justice into his own hands, and will now have the rest of his life behind bars to contemplate on his decisions. 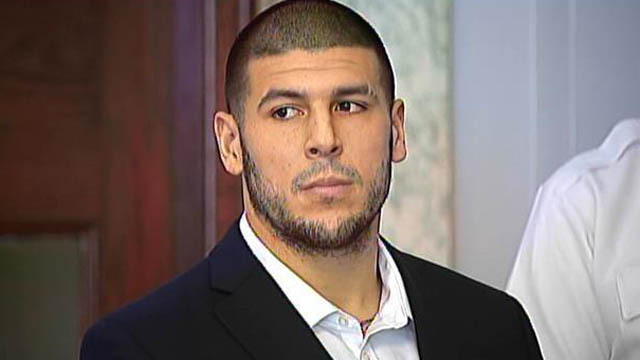 My heart ached for Hernandez when he was found guilty of 1st degree murder. Not because I thought he was innocent, or because of his inevitable sentence. It ached because there’s a little girl that will have to grow up without a father, only to be constantly reminded of the heinous acts he committed. It ached because this was someone that was on the verge of becoming one of the best players at his respective position. It ached because this was someone who had showed signs of putting his troubled life behind him. It ached because he was given one of the greatest opportunities on earth. It ached because he was (at one point in time) adored by the public. It ached because he threw it all away. Hernandez’s hostile behavior started when he was a teenager. After losing his father at the age of 16, it affected Hernandez deeply. He was often rebellious towards authority figures and constantly in trouble at school. Fortunately for him, he excelled on the football field, and that is where he turned his focus to. It appeared as football would be his savoir and ticket out of the troubled lifestyle he once lived. After prevailing in the 2009 BCS National Championship Game, in addition to being the recipient of the prestigious John Mackey Award, one could only assume that a star was in the making. Hernandez draft stock would drop, however, due to allegations of marijuana use; which Hernandez later admitted. Nonetheless, the Patriots took a chance on him in the 4th round and he rewarded them with three productive seasons. Unfortunately his life off the field was apparently taking a turn for the worse, as he was indicted on murder charges from a 2012 incident; the year he played in the Super Bowl. With all the God-given talent, ability, and fortune Hernandez had, one can also speculate what would motivate him to throw it all away. Is it for “street cred”, arrogance, power, etc? After all, Hernandez is not the first athlete that has been convicted on murder charges. Hernandez has the rest of his life to think about it. But the sad thing is, he can’t go back in time to change it. He made the decision to murder someone, and now he will pay the ultimate price.